The question of how to build controls to fly today’s live laptop music sets – whether “DJ,” “live PA,” or something else – remains open. We’ve got an inside look at the newest entry, the most recent device to explore just what should be mapped and tactile, and what should be left behind. Amidst various look-alike mixer-and-deck controllers, it fits in with those pushing to make computer control a hybrid of traditional DJ metaphors and new computer ones. Meet the Twitch. 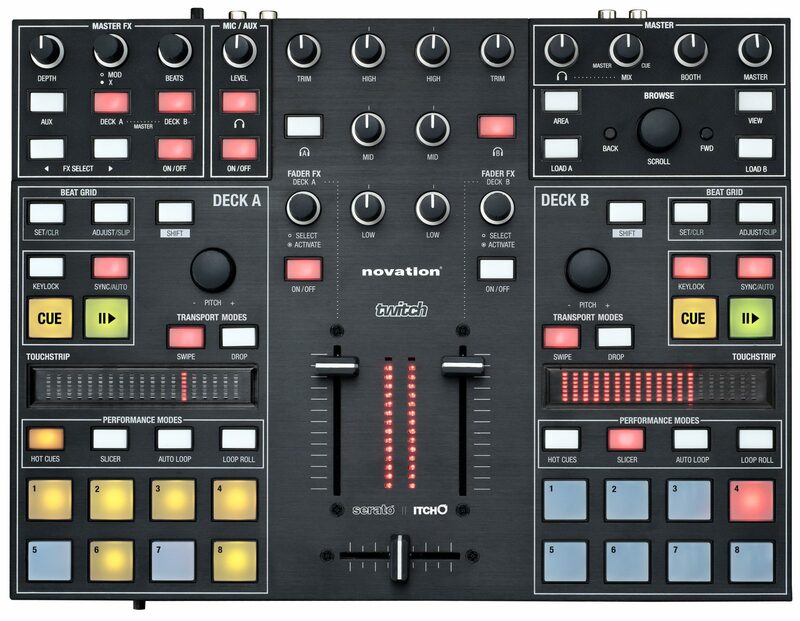 The result of a collaboration between New Zealand DJ software developer Serato and UK hardware maker Novation, Twitch deviates from a number of norms. Second, the developers tell us they’re heavily influenced by the monome and controller hacking communities. The resulting tool even carries the “controllerist” moniker promoted in the past by artist/technologists Moldover and Ean Golden. 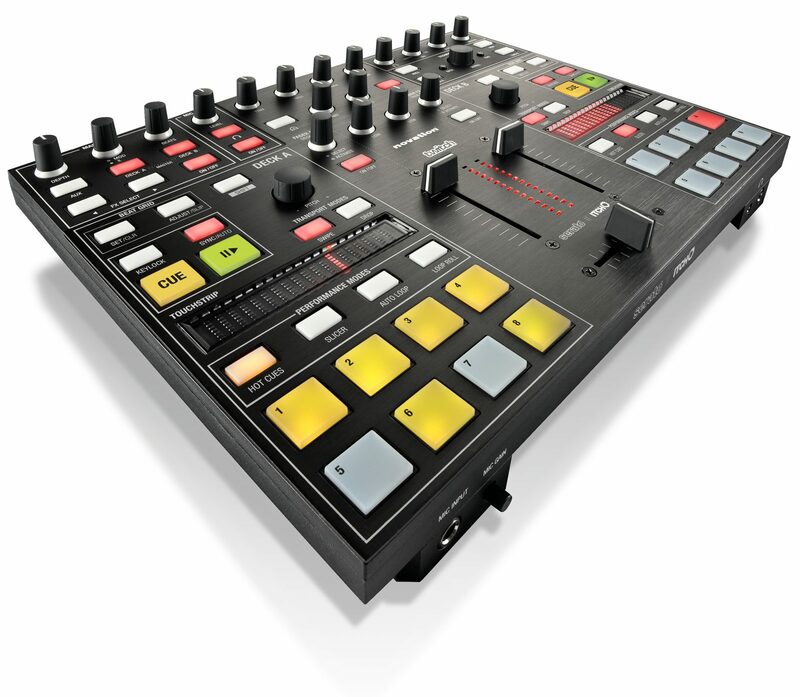 The Twitch has touchstrips, faders, knobs, and buttons, a strange hybrid of a lot of different ideas. I’m still wrapping my head around it – and whether this will feel like a genius cockpit for music or a Frankenstein combo of other controllers. But the Twitch at the very least looks less like the result of a product planning meeting and more like exactly the sort of thing digital musicians, DJs, and readers of this site might design for their own purposes. The collaborative design process kicked off a couple of years ago when we first started to talk to Novation. We didn’t have to have too many conversations before we realized we had quite similar ideas about where live performance and controller technology was heading. The very first time we exchanged concept drawings at a Messe show they turned out to be really similar in terms of form factor and control set, which is always a good sign. On my way back to New Zealand after the show I visited the Novation HQ in the UK and spent time with Lars and Matt from the their team to progress the idea of a new style of DJ controller forward. We had this common idea to combine the realtime live feel of Serato DJ software with the Controllerist elements that Novation are known for. A tip of the hat has to be given to MLR and the Monome community at this point. We’d all be using community apps on the lemur (I was going through a Monome obsession at the time and was mid Arduinome 128 build). After watching endless youtube videos of performers doing amazing things with buttons we came up with the concept of the Slicer. The Slicer is like a rolling window of cue points that moves through a song in time with the music. It does MLR style loop chopping and mashing but over a whole track instead of just short loops. It gives a DJ or performer a way to cut up and re-perform their music without having to edit or sample it manually and was something that no other software is doing in the DJ context. After we’d struck on this as being a core feature for the product, we exchanged a few updated concept drawings and I headed back to New Zealand. Being at literally opposite ends of the world made for an interesting challenge. As Lars and I worked further on the concept, someone always had to stay up to the middle of the night so we could talk on the phone and keep developing the ideas. We got Lars down to New Zealand and spent a week or so locked in an office around a table listening to tunes and bashing the design into shape. With the software and hardware engineering talent that we’ve got at both ends we were able to dig deep into some of the new features we were adding, like the Touchstrip, ensuring that we were implementing a solid method of control. The firmware and software interaction our engineers have come up with makes the strips feel really responsive in all the different modes. Several rounds of hardware prototypes and lots of testing with our in house DJ’s means we’ve ended up with something that feels great, even to someone used to more traditional control like turntables or CDJs. The most arduous of the real world tests devised during this process was to ensure that the Touchstrips would work really well in sweaty, live club conditions. It involved a bare touch strip PCB with a live USB connection, and a jar full of marmalade. A thoroughly English test for the robustness of the product! The beta process has been a passionate one – as there are a lot of keen musicians and DJs at both companies there have been some fairly epic conversations around exactly how a feature should or shouldn’t work. As well as in house DJ’s we’ve also got a crack team of external beta testers that work with us on various different projects. We heavily utilize private areas of our forum for beta communication and it makes working on projects a little more community based in a lot of ways, as it’s all about conversations with real people that are actually using our products. This kind of iterative user lead feature development process can sometimes take a long time, especially when you’re working on something that is a bit adventurous feature wise, but the results are worth it as you end up with something that feels really good to use, which has been thoroughly sanity checked by real end users. So lots of software development and plenty of hardware prototypes later, here we are. We’re really excited for Twitch to see the light of day. I for one can’t wait to see the kind of crazy button smashing videos that users are going to post up on youtube of themselves using this thing. It’ll have come full circle at that point. Dylan also sends CDM exclusive video of a stress test of the touch strip … combined with marmalade.